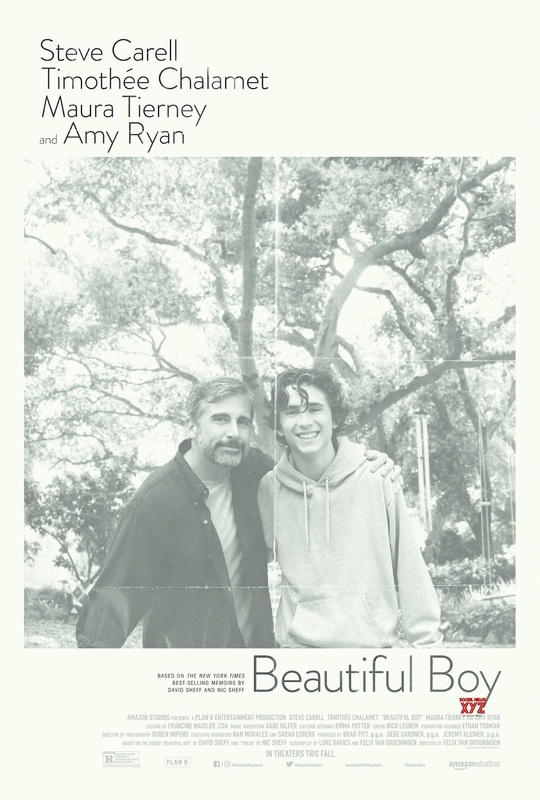 Beautiful Boy, a film which combines the memoirs of David Sheff (Beautiful Boy) and Nic Sheff (Tweak: Growing Up on Methamphetamines), will have a familiar feel to anyone who has struggled with addiction or loved someone who has struggled with addiction. It is repetitive, crushingly so, cycling through the stages of Nic Sheff's addiction to crystal meth which involve use, heavy use, lying, criminality, ODing, repentance and begging for help, getting sober, and relapse over and over again. Experienced through the eyes of Nic's father, David, who comes to accept the fact that he can't help Nic, Beautiful Boy is not an easy film to watch. While an epilogue at the end of the film reveals that Nic has been sober for 8 years, the events of the film itself do not follow a simple arc or "things get bad, and then they get good. The end." Rather, they present a more realistic portrayal of addiction to hard drugs and the slow draining of hope of both the person suffering from addiction and that person's loved ones. At one point, David Sheff talks to an expert in drug addiction who explains that the odds for long-term recovery from meth addiction are in the single digits. You might think that this sounds like a bummer of a movie and, well, it is. It's also a deeply felt portrait of the unconditional love a parent has for their child, even when the child lies to them, robs them, and is in constant peril. It's heartbreaking. Led by powerhouse performances by Steve Carell, whose innate kindness and decency shine through as David, and Timothee Chalamet, who proves that his Oscar-worthy breakthrough in last year's Call Me By Your Name was not a fluke, as Nic, Beautiful Boy is a showcase for excellent acting. Carell has the less showy, but more difficult job here as a father who is blindsided by the 180 degree turn his intelligent, bookish, music-loving, college-bound son makes seemingly overnight. David Sheff starts off as any parent of an addict would: hopeful, full of support, scouring the internet for information. But as Nic recovers, relapses, recovers, relapses, recovers, and relapses again, David has to face the three C's of Al-Anon: You didn't cause it, you can't control it, you can't cure it. When he does surrender, there is finally a sense of peace amid the chaos. He loves his son, but he can't save him. Luckily, Nic Sheff got the help he needed and has been in recovery for nearly a decade, but many people who struggle with the disease of addiction--especially to hard drugs like meth--are not so lucky. Addiction is misunderstood and seen as a character failing, especially when people with substance use disorders do bad things, such as steal and lie, to feed their addiction. But the fact is, human beings--usually good humans--are there, underneath the fried nerves and disrupted dopamine receptors. 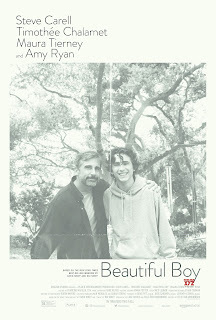 Beautiful Boy does its part to reveal the humanity and suffering of the addict as well as family and friends of the addict. Random Stuff I Haven't Reviewed Yet!